In this course the student will learn about all the topics covered in the RAC Statement of Work, as posted by CMS. Included are the important areas, such as what kinds of improper payments RACs and will not pursue, how they will make Records Requests, what kinds of time frames are involved, who is watching the RACs, and how the RACs will work with CMS during the appeals process. Explain what the RACs will and will not review. 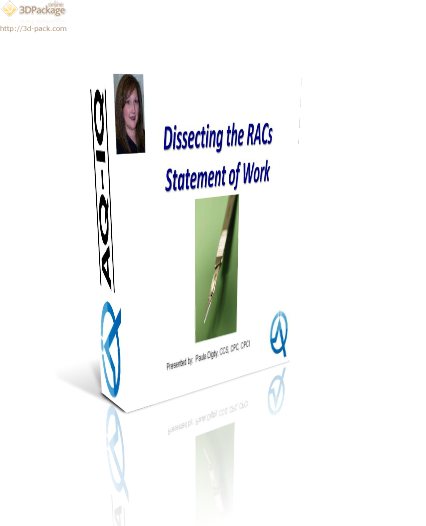 Identify the limits that have been placed on the RACs by the SoW. Describe how RACs will handle underpayments, overpayments, payment adjustments and appeals.